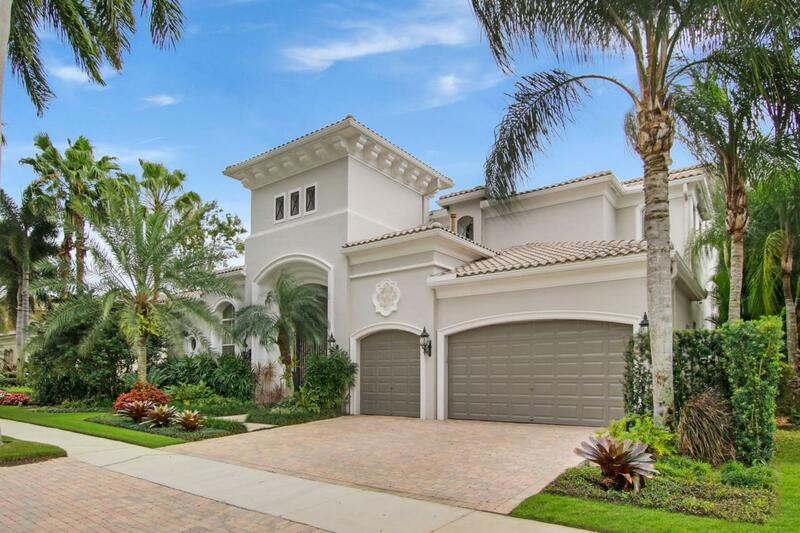 This renovated Contemporary home is located in the desirable Mirasol County Club community. Golf or Sport equity membership available. Chic with a light filled open floor plan. 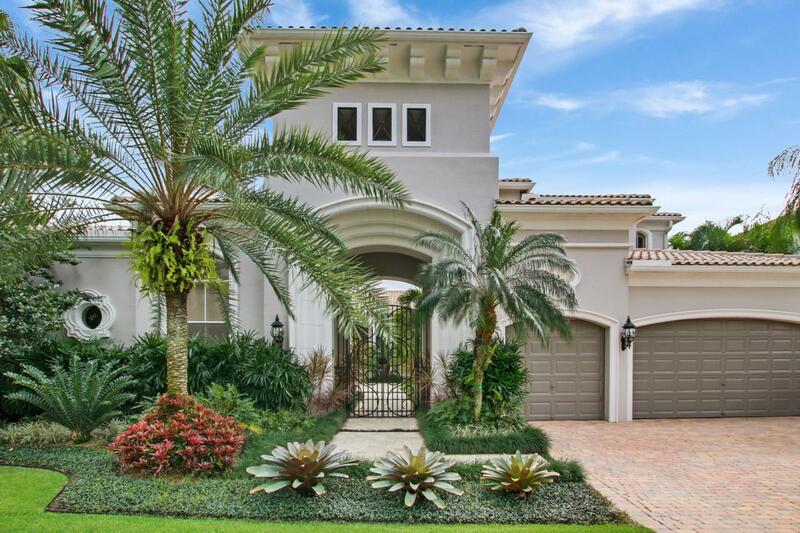 Superior design, clean lines and crisp custom details are evident though-out this 5Bd, 5Ba home. Casual and stylish formal spaces blend seamlessly offering areas for intimate or large-scale gatherings with stunning golf and water views from the main living areas. The updated kitchen offers, Quartzite countertops with waterfall edge, Thermador appliances, double ovens, and Subzero refrigerator open to the expansive family room. The spacious master suite with his and hers built in closets and completely renovated master bathroom with toto toilet, offers an quiet retreat with views of Tropical landscaping.The outdoor areas offer a private oasis surrounded by new lush landscaping and state of the art new salt water pool and spa with auto-fill and automatic pool and spa covers. The new lynx grill and pizza oven in the courtyard are perfect for outdoor entertaining. This unique home offer additional outdoor living with a spacious 18' x 42' hurricane resistant screened in backyard patio with spectacular golf and water view. Additional features of this remarkable home, generator, speakers in the main livings areas of the home indoors and out and 2nd level loft, Control 4 Smart Home Automation system, LED lighting, retractable screens in front entrance, courtyard guest house and 2 guest bedrooms, Venetian Plaster walls and ceiling finishes in many of the main living areas and bedrooms, 3 car garage, 200 gallon salt water fish tank, extra storage space, Golf Equity Membership and much more. 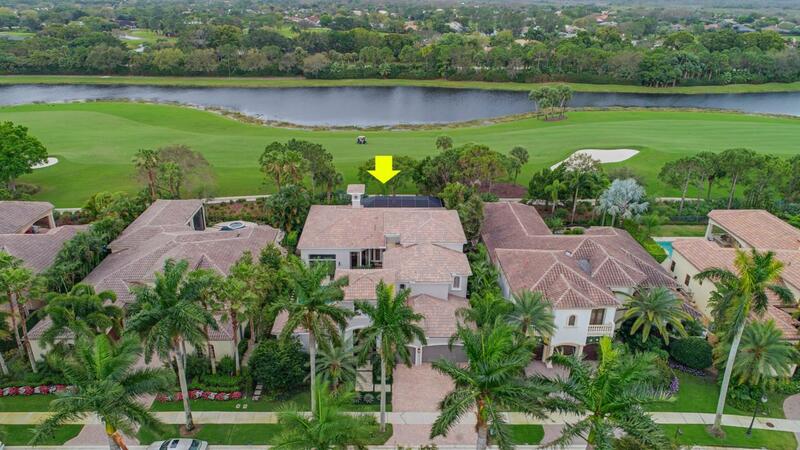 Enjoy the lifestyle at Mirasol Country Club with two champion golf courses, state of the art practice range and facilities, 15 clay tennis courts, new full service spa, aquatics center, fitness center, family sports complex, newly renovated clubhouse and year round social events.